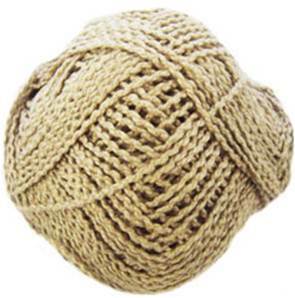 Sirdar Raffaella cotton rich DK knitting yarn, 485 in neutral sandy beige. A lightweight, textured yarn, perfect for summer knitting. 51% cotton / 49% acrylic, machine washable. Knits to a standard DK tension. 50g/ 125m per ball.